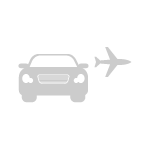 AN&GO takes care of the transfer of customers from the airport to the destination (hotels / congress centres / etc) . The service offers accompanying the customers in a vehicle provided by a third party. I read this article and found it very interesting, thought it might be something for you. The article is called Transfer Fiumicino Airport/Rome and is located at http://www.anego.it/en/services/transfer-fiumicino-airportrome/.